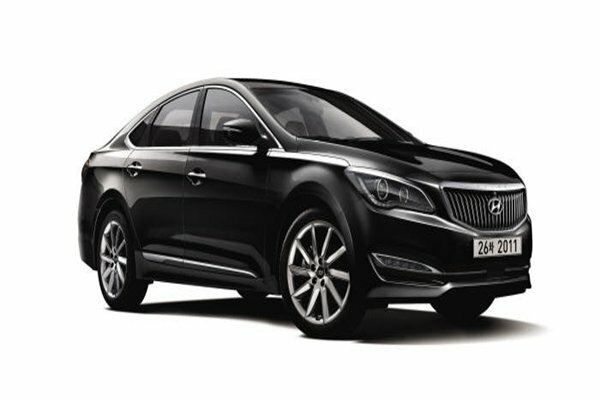 Hyundai Motor Company is going to discontinue Azera (Grandeur) in North American market and is going to release 2nd generation Aslan (Project name: UG) as the model for North American market. Its strategy is to pioneer new foreign markets with Aslan, which is not sold much in South Korea, and focus its capabilities in South Korean market with Grandeur. According to industries on the 7th, Hyundai Motor Company is going to discontinue Aslan in South Korean market as early as 2018. Instead, it is planning to release new Aslan, which is currently being developed, only in North American market. Currently Hyundai Motor Company has decided not to facelift Aslan and release its next model in advance. It is planning not to release new Aslan in South Korea but only in North American market. At the same time, it is going to discontinue Azera (Grandeur HG), which is currently sold in North American market, and not introduce its new model (Grandeur IG). It is heard that Hyundai Motor Company has decided to withdraw and release Aslan and Azera in corresponding markets in order to build up their control in their respective markets. Especially control of North American market for mid-sized sedans are divided between American and Japanese brands such as Chevrolet ‘Impala’, Dodge ‘Charger’, Nissan ‘Maxima’, and Toyota ‘Avalon’. On the other hand, Azera even falls behind of Kia Motors’ ‘Cadenza (Name in South Korea: K7)’ in North American market and is placed on the very bottom of North American market. 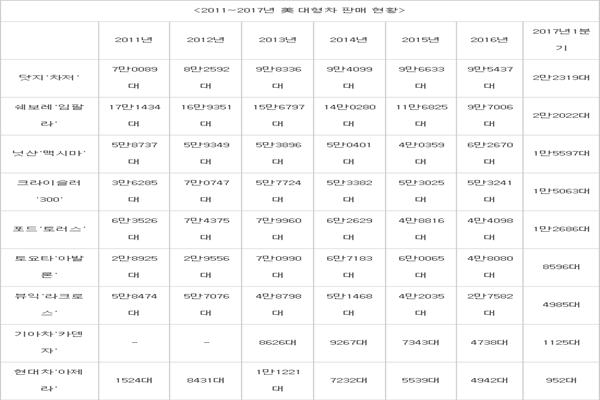 After 11,221 Azeras were sold in 2013, sales volume of Azera has been declining every year. Even in this first quarter, only 952 Azeras were sold which is ranked very last. Aslan is a car that is developed by Hyundai Motor Company since 2012 under a project name of ‘AG’ in order to compete against luxury front-wheel imported cars such as Audi A6 and Lexus ES. It especially focuses on chastity and ride comfort. It is applied with Hyundai Motor Company’s design philosophy called ‘Fluidic Sculpture 2.0’ and has a design that is grand and restrained at the same time. When Aslan was released, it targeted markets for corporate cars as it even had a nickname of ‘cars for directors’. Its release date was also set at the end of 2014 when personnel changes of executives of large corporations started to take place. Hyundai Motor Company also set its yearly sales volume high at 6,000. However markets turned their faces away as Aslan was about $4,400 more expensive than Grandeur HG when it shares same parts as Grandeur HG. Although 1,000 Aslans were sold on average per month in 2014, its monthly average sales volume was reduced to 719 in 2015. In order to revive Aslan, Hyundai Motor Company released ‘2017 Aslan’ that has front-wheel 8-axel automatic transmission and Lambda II engine in last September. It also put out ‘Aslan Used Car Price Guarantee program’ that guarantee s price of a used car at 75% in first year, 68% in second year, and 62% in third year. However its monthly average sales volume was reduced to just 187 as only 2,246 ‘2017 Aslans’ were sold until end of last year. Only 179 new Aslans were sold during first quarter of this year.